Happy New Year! Hope you all had a wonderful Christmas break. I certainly did. I was ready for some time off having not had any since May. Now I have had some time to rest, recharge my batteries I am ready and raring to go for our sessions that start back this week. I am also super excited to welcome 26 new bootcampers across our 3 locations who took up the January offer. Well done to them for taking the plunge. It's not easy coming to a new class, not knowing what to expect but I am confident that they will walk away from their first session happy that they came. I have lots of ideas for 2019 that I want to bring to bootcamp especially through our closed Facebook group. This is the easiest way to get more out of your membership so even if you are not on Facebook or don't want to be a regular user of it, it might be worth creating an account just so you can join the group. Ideas include, a 20 minute workout posted each week for you to do as an addition to your bootcamps or for when you can't attend sessions (eg holiday), mini challenges, an easy, healthy, quick to make recipe posted once a week (everyone is welcome to share their ideas for this particular topic) and live Q&A sessions for anything you want to ask me relating to health and fitness. In addition there are other classes I would like to add to the timetable, particularly come spring/summer. Remember if you have any suggestions or ideas then I am always open to hearing them. There were a few events that bootcampers did in December. A group went down to Southsea and took part in the annual Believe and Achieve Santa runs. Some did just one out of the 3 distances whilst others completed all 3 challenges to earn a very nice set of 4 Christmas themed medals. Despite the challenge of a strong wind it was a great atmosphere and it's always something to behold when there is a sea of runners all dressed in Santa suits! Hoping that more bootcampers will join in next year, even if it's just to do the mile. 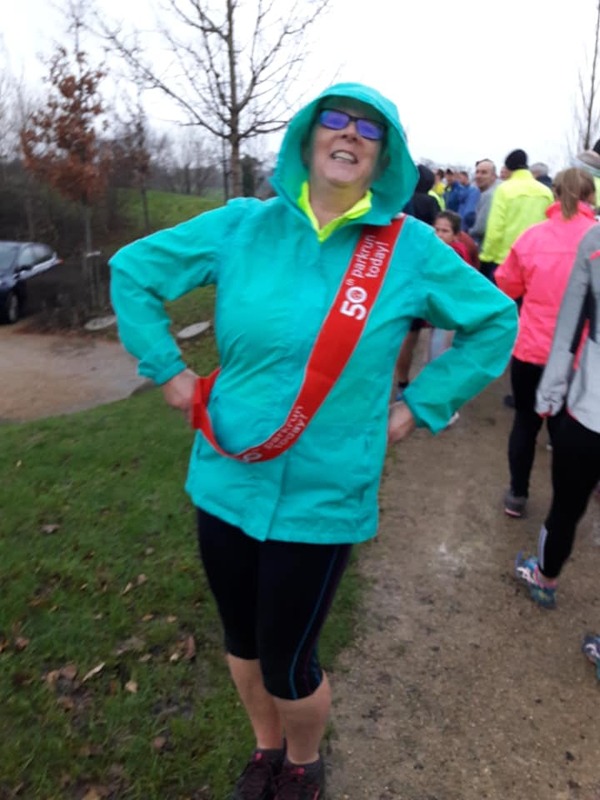 A week later we had Sue complete her 50th Parkrun at Fareham. Weather conditions couldn't have been much worse; cold, wet and windy but that never stops Sue, one of our hardiest bootcampers. Well done Sue. 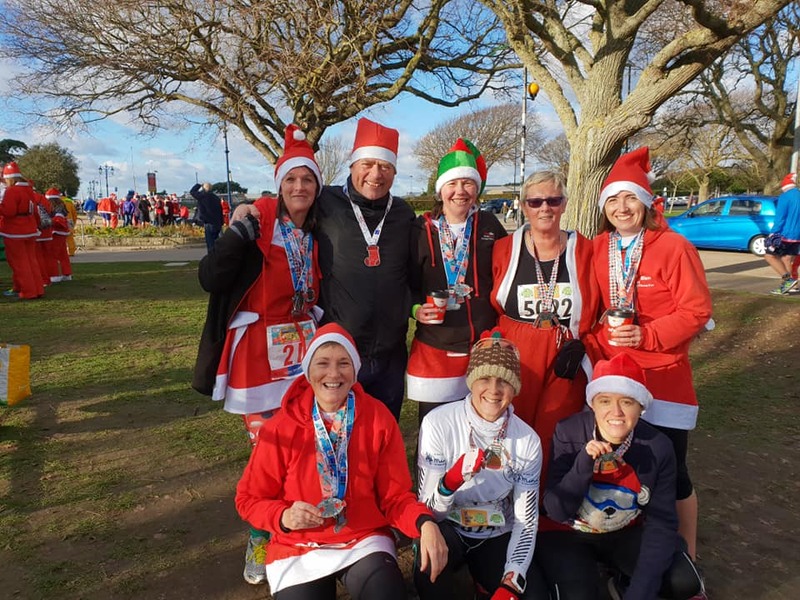 Just before Christmas, two of our seasoned runners Terasa and Annette completed the Portsmouth Coastal Marathon relay, completing half the distance with their running partners. Well done ladies. Throughout December a few of us did the Run up to Christmas challenge for the charity MIND. This involved running as much as possible with the aim of completing 50K, 100K, 150K, 200K or 250K between 1st and 25th December. Sophie from Gosport did the 50K, I completed 100K and Lou and Kirsten from our Portchester bootcamp managed an impressive 150K. I don't know about the other ladies but I definitely needed a break from running for a few days after that challenge! This recipe was posted by one of our members, Sophie, in our closed Facebook group. I tried it out myself and it was easy, quick and delicious. 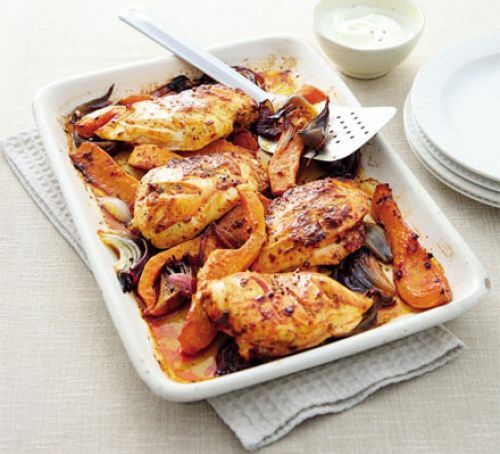 Serve with couscous or add more veg and have as it is - I sometimes put sweet potato or butternut squash in the tray bake for a complete meal. 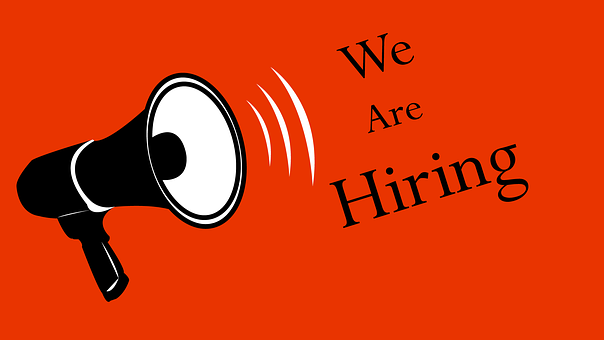 I am looking for fitness instructors to cover bootcamp for holidays and sickness and a Pilates instructor to add another class to our timetable on a weekday evening. For bootcamp the cover instructor must be prepared to work in all weathers at any of our locations in Gosport, Fareham and Portchester. If you feel you have the qualities to motivate, encourage and deliver a great session then please email your CV to karen@bodyblastbootcamp.co.uk by Friday 25th January. Throughout January, bring a friend to bootcamp for a free taster session and be entered into a prize draw to win a £20 gift voucher. I have lots of flyers for distribution so if you want some to give to friends, family, neighbours or work colleagues then let me know. Not a fan of running? Walking at a brisk pace (ie gets you breathless) can burn almost as many calories as jogging the same distance and it will have less impact on your joints. We are planning on attending the Cams Mill, Fareham, pub quiz on Tuesday 29th January at 8pm. Entry is £5 per person but includes a hot buffet so you can fuel your brain before it starts :-) All welcome. Signing up to an event is a great way to keep motivated and is even more fun when done with others. If you want to join them then sign up using the links below or if you have one to add to the list drop me an email and let me know. You don't have to be the fittest or strongest to take part in an event, it's all about maybe just stepping out of your comfort zone and having a go. Don't forget your bootcampers and myself are always there to support you both before and during the event itself.